Product categories of Euro Fence, we are specialized manufacturers from China, Euro-Fence, Euro Wire Mesh suppliers/factory, wholesale high-quality products of Garden Euro-Fence R & D and manufacturing, we have the perfect after-sales service and technical support. Look forward to your cooperation! 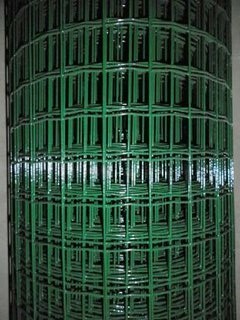 Euro-fece is usually electro Welded Wire Mesh, plastic coated on galvanized core. Colour is green ral 6005 powder coating. Tensile strength is as below: Line wires:450 550nwt/mm2. Cross wires:600-700nwt/mm2. Material is low carbon steel wire, PVC coated wire.It is good at corrosion resistance, anti-aging, nice appearance, easy and quick installation. Processing: PVC coated after welding of steel wire. Electro galvanizing, hot-dip galvanizing or PVC coating can be done separately. Application: Euro fence is used as fencing, decoration or protection for various facilities in industry, agriculture, infrastructure, transport, etc.Such as Vinyl Fencing. Copyright © 2019 Huanghua Yuanfeng Hardware Products Co.,Ltd All rights reserved.